Summer in the Pacific Northwest – time to play! 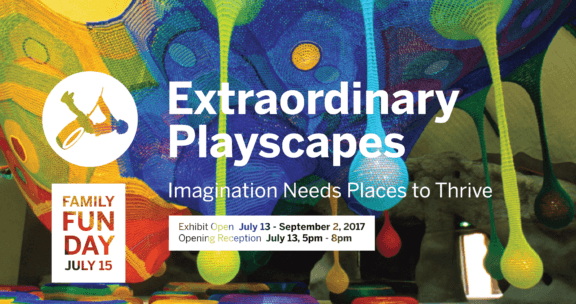 The Center for Architecture & Design celebrated summer by considering how designers create places for both kids and adults to play through the exhibit, Extraordinary Playscapes. Today, outdoor play faces tough competition—from electronics, over-scheduling, declining recess time, and lack of access to safe play spaces. 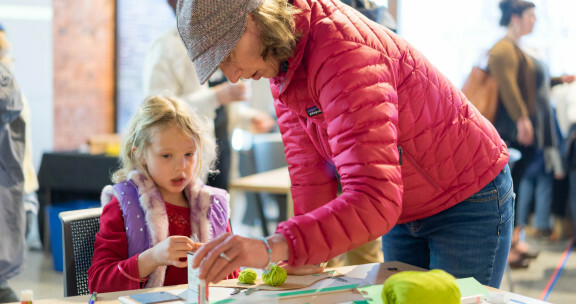 Additionally, safety and liability concerns overshadow the conversation around play’s central role in enhancing children’s physical, emotional, and social development. 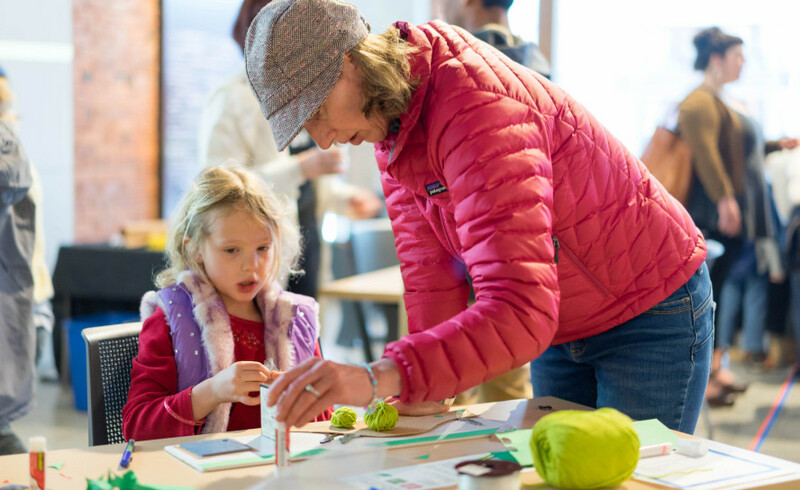 Concerned that unstructured play might become a thing of the past, many architects, designers, and play advocates continue to explore the importance of well-designed public spaces that allow balanced, creative, and active play. 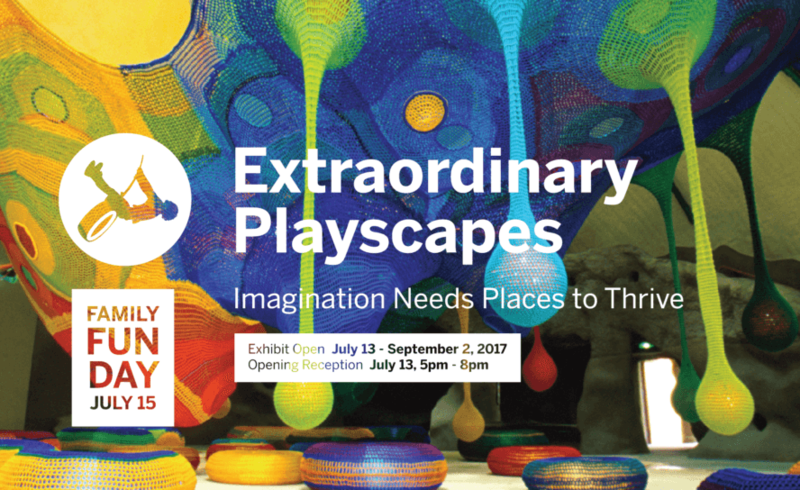 By examining the history and science of play—including notable examples of playground design by international leading experts—this exhibition explores how designers translate play objectives into innovative environments.